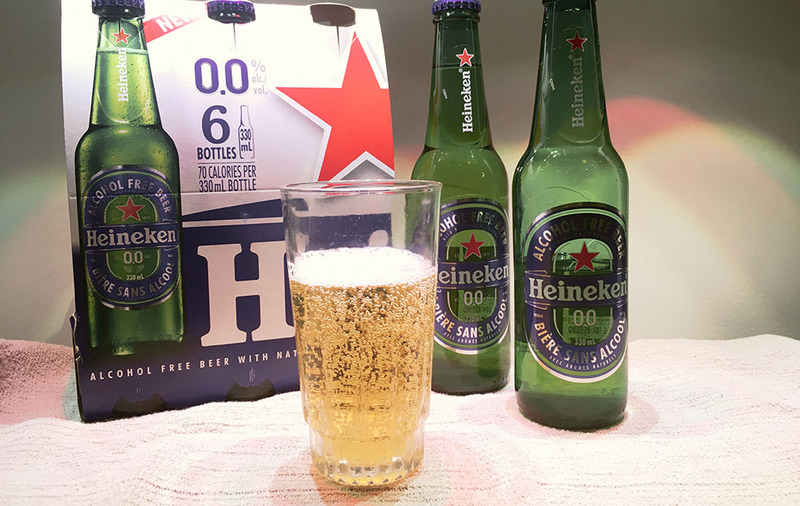 Heineken 0.0, the company’s first non-alcoholic beer, has made its way to the international market. It launched in Canada last year. The 330ml bottle, sold in packs of six, offers beer lovers a safe alternative to enjoy when they want to sip on a beer, but need to drive or cannot have alcohol for whatever reason. Heineken 0.0 uses all natural ingredients (water, malted barley, hop extract). It is then twice brewed and fermented with the company’s unique A-yeast. The alcohol is then removed with natural processes. Brewmasters blend the brew to get the unique flavours. Heineken 0.0 glistens a beautiful amber in the glass. It smells much like the Heineken we know and love – with a nose of barley, hops, and a touch of grain. The taste is also very much the same (miraculously) though a bit more on the watery side than the full-alcohol rendition. There’s also a slightly sweet note that is a bit odd in a beer, but pleasant. Nice bubbles dance on the tongue. A subtle bitter flavour lingers for a few seconds on the finish then disappears. Refreshing alternative that is just enough like the original to please but with slight differences that may confuse frequent Heineken drinkers at first. With only 69 calories and 0.03% ABV per bottle, this brew will please even non-beer drinkers.